Australian researchers said that Mount Erebus, an active volcano on Antarctica’s Ross Island, is surrounded by caves hollowed out in the ice by steam. Soil samples retrieved from the caves have revealed intriguing traces of DNA from mosses, algae and small animals. Some of the DNA matched known species, others didn’t. A secret world of animals and plants—including unknown species—may live in warm caves under Antarctica’s glaciers, according to research published in the journal Polar Biology. 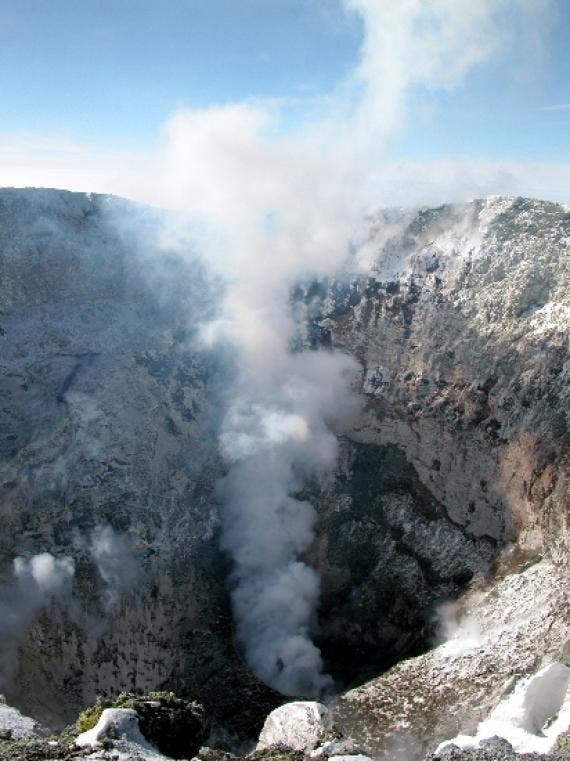 The caves, hollowed out by steam from the active volcanoes, are light and could reach temperatures of 25 degrees Celsius (77 Fahrenheit), researchers said, raising the possibility of a whole ecosystem of flora and fauna deep beneath the frozen surface. A study led by the Australian National University around Mount Erebus, an active volcano on Ross Island in Antarctica, showed extensive cave systems. Lead researcher Ceridwen Fraser said forensic analyses of soil samples from the caves had revealed intriguing traces of DNA from algae, mosses and small animals. While most of the DNA was similar to mosses, algae and invertebrates found elsewhere in Antarctica, not all sequences could be fully identified. 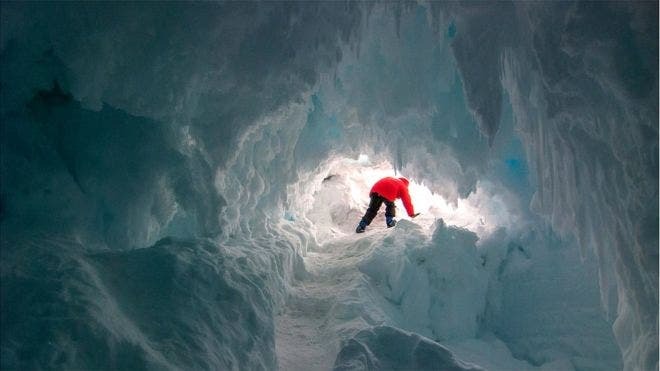 Despite the continent’s freezing temperatures, Fraser said heat emanating from the volcanoes could make the caves quite hospitable, warm enough “to wear a t-shirt and be comfortable”, with light filtering deep down where the overlying ice was thin. Co-researcher Charles Lee, from the University of Waikato in New Zealand, said there were many other volcanoes in Antarctica, so subglacial cave systems could be common. The research, published in international journal Polar Biology, said there were more than 15 volcanoes in Antarctica that were either known to be currently active or show evidence of recent activity, with new ones continuing to be found. But despite recent advances in understanding Antarctic biodiversity, scientists still know “little about life in the continent’s subglacial cave systems, which may harbor diverse and complex communities”. “Our results highlight the importance of investigating these cave systems in greater detail—despite the field challenges associated with such an endeavour – to confirm the presence of living macrobiota,” it said.